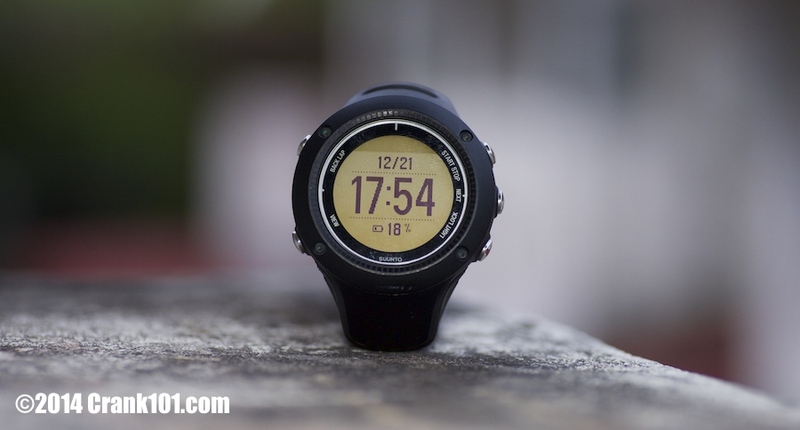 Is the Suunto Ambit2 R the Best Running Watch for You? Do any problems exist with the form or function of the Suunto Ambit2 R that you should be aware of? First, to see the negatives, you should check out THIS page – over 100,000 pageviews in a few months – this covers my negative experience with this watch. Below was written when I just got the watch, the problems developed within 6 months. What is your overall impression of the watch, after 3 days of use? General Settings: Pair – Personal – General Settings (gender, weight, DOB, and other settings in movescount.com – height, etc. Actual In-the-field-Use: Park – Rainforest mountain – Stairs up the mountain. This watch is considerably heavier than watches I’ve had in the past. This one weighs in at 70 grams (2.5 oz.). That is less than the dry bowl of muesli I had for breakfast, so it isn’t much. I was pleasantly surprised to realize I didn’t feel the weight of the watch on my arm as I ran. I am usually very sensitive to feeling everything I’m carrying, but this must be just light enough that it doesn’t even register. I like that. One cannot help notice the size of this beast. I remarked about it as I unboxed it in this video. It is quite large, and though it isn’t as big as a diver’s watch, it is a close second. 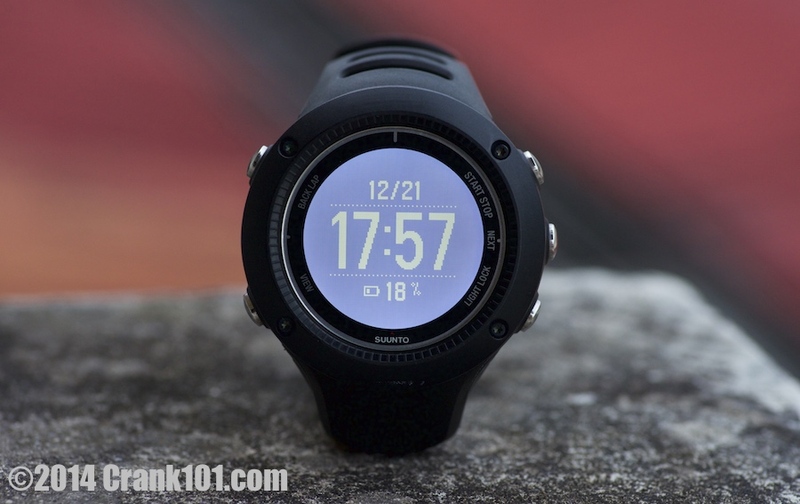 And no, it is nothing like the Garmin 910XT. It’s a fraction of that size, but still I consider this a large watch to be wearing around. I’ve not had anybody gawk at it on my wrist as I go about my daily life here, but I do expect it to happen at some point. The watch is black with some shiny stainless steel buttons and band clasp. It probably would be nicer to look at if all black. The buttons have no texture, so they are smooth and slippery. A grid etching or something else to increase grip might be of benefit. The band is very strong, and pinches long hair, but other than that is very comfortable. The watch is charged via USB cable connected to your computer. There is a clip that clips on to the watch with a potato chip clip type contraption. It isn’t pretty. It isn’t fun. It doesn’t always register the watch in Movescount. Once it is connected, charging commences and a sync of data occurs. The data for your saved runs stays on your watch too in the Logbook section. It will stay as long as it can until there isn’t enough memory left on the watch and old data is rewritten overtop of with new data. The battery charges from 0 to 100% full in about two hours with a new watch. There is no A/C plug connector included with the watch, so it’s note safe to re-appropriate one of yours meant for other devices like your phone – to charge your watch. You may inadvertently create a $250 paperweight. 1-second satellite pings = ~ 8 hours of battery life. Coming from a Timex Triathlon watch, I was a bit befuddled by the choices offered by the Ambit2 R.
There are 2 smooth and shiny stainless steel buttons on the left side of the watch. The top one is for “Back” and “Lap” functions. If you are in a menu and you can go backward, just hit “Back” to get out of it and go to the previous menu. “Lap” is for those running around a set area multiple times. I use “Lap” as I pass important markers during my workouts. I explain more below in Section 8. When you hold the Back button down and let the timer cycle around, it usually puts you right back into standard watch/time mode. The lower left side button is “View.” In the regular watch mode when you push this button, it cycles the bottom (third) row of information on the display between battery charge level, time, and day of the week (fully spelled-out), and seconds. When you using one of the exercise modes, like “Trail Running” for instance, the view button will scroll between the options you’ve chosen for that particular view. There are up to 5 options you can assign to the bottom row of information for each Display setting while you exercise. You can choose from 23 preset information bits like calories, average heart rate, lap number, etc., You can even create your own application for your watch, and assign some of those variables to your View row readout. A pretty amazing feature I’m eager to try. When you hold the “View” button down, and let the timer cycle around, it will invert the display to black background and light-colored information characters. Doing it again gets you back to the default light-colored background with dark characters. On the right side of the unit are 3 buttons. The top one is “Start Stop.” You can guess what that might be for. However, if you’re in the Watch mode and push this button, the Timers / Exercise / Logbook option is revealed. If you long-press it, nothing happens in Watch mode. If you are in a menu and long-press it, it will scroll up rapidly through the menus. Pressing the bottom right button and holding it rapidly scrolls down a menu. The top right and bottom right buttons are for scrolling up and down in a menu. The middle button selects whatever option is highlighted in the menu. The middle button is marked, “Next.” A push selects the highlighted menu option and goes to the next menu. The display is set at 50% contrast by default. You can choose between 0 and 100% contrast for either of the 2 color-schemes. For daylight, I use the light background and dark numbers/characters scheme and set it at 80% contrast. If I invert the color-scheme to a dark background, the 80% contrast looks horrible. I have to then adjust it downward to 20% before it looks good. Just keep that in mind. If you can stand it at 50% contrast, then inverting will look fairly OK for both schemes. The display is sharp and easy to read on a bright day. When not exercising, there is never a problem to read the information. When exercising and it is raining, or it is overcast and not bright out, you will probably need the backlight to enhance the display and see the information. There are 3 rows of information. The middle row is large and easy to read all the time, regardless of how bright ambient light conditions are. The top and bottom rows of information are very small. They are smaller than either of the two rows of information on my six-year-old Timex Ironman watch. That is saying something. Sure the Ambit2 R display is many times easier to read in general, the size of the top and bottom rows are just too small and they could be bigger. The issue is the bezel and the writing on the glass of the watch takes so much space, that there isn’t much room left for the display. The display is 1 1/8” across in diameter. The bezel, when both sides are added together, is 7/8ths of an inch wide. So the watch is nearly 50% bezel. Seems bizarre. That’s because it is. The notations on the glass tell you what the buttons are for, but they need not be there on the glass, taking up the most valuable real-estate. The button functions can just be written on the thick bezel. So, it’s a strange choice of design Suunto made, I do hope in the future they add some more room to the display and crank up the size of the first and thirds rows – which are ridiculously small. The plastic band has a rubbery grippy feel to it. The stainless steel clasp seems strong. I would have preferred black clasp and black buttons, but that’s just me. I do think the watch band is another design flaw. I have ripped more hairs out of my arm removing and wearing the watch than I cared to. I will likely shave this winter, just because of this problem and to facilitate wearing the watch. 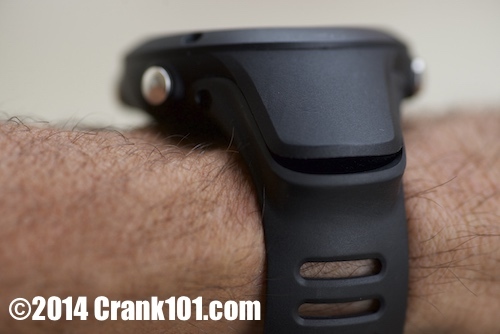 If you have no hair on your arms, the band and watch feels great on the wrist. Will the watch band fit you? If your wrist is between 5” and 7 3/4” – yes, it will fit. Holding the middle right button of the watch in for 5-seconds will take you to this General Settings Mode. Pair – you can pair the watch up with the Heart Rate Monitor or the Foot Pod using this feature. This is how you first get the watch to recognize new hardware. It takes just a few seconds. Formats – covers language, unit system, GPS system, Time and date formats. Timers – Stopwatch and Countdown. These are self-explanatory. When you are taking part in an Exercise activity, you can customize what information is displayed on your watch. It’s a very nice feature. You need to go into Movescount to do it, but you can choose from up to 25 pre-selected bits of data to display on your watch in a few different configurations. You might choose to have Lap Time, # of Laps, and Heart Rate displayed – one each per row of the display. Then you could add another 4 bits to the last row so you could scroll along and get even more information displayed with the Lap Time and # of Laps. You can do this for up to 8 different Displays. I only use 4 at the most, and that covers everything I want to see while exercising. Suunto updated their options recently so now there are 25 you can choose from. Then you can even create your own display data to add to a custom Display, or, use apps that have already been created by other users and add that data to your custom Displays. Logbook – logbook allows you to look back at past exercises you’ve recorded with your watch and see how you did. If you were at your computer and had an internet connection it is better to go to Movescount or Strava, as the data is presented in an easier to read format, but the watch does work for showing basic information about prior runs. Yesterday I drove over to my favorite climb up a 500-meter high mountain not too far from my home. It was raining, but that made it much cooler than it usually is. In the past, GPS units I’ve used in my phones couldn’t sync with satellites for minutes at a time at that spot. It has heavy tree cover, and maybe that’s the reason? The Ambit2 R synced with the heart rate monitor immediately, and to the satellite GPS system within 4 seconds and was ready to go. Nice! UPDATE 29 October 2016: GPS having a very difficult time finding satellites for the past couple of months. No idea what is the problem. Before this run, I went to Movescount.com and set up my custom display views (under the GEAR menu). I didn’t really understand what I was doing, and I’m still not a pro at it, but basically, you set up a number of views you want to have available on your watch, before your run. These are custom views. The Ambit2 R, and as far as I know, all the Ambit2 and Ambit3 series, have a larger readout in the center of the watch – you can assign information in that row that you don’t want to miss. The row above it and below are smaller and more difficult to see while running. When you stop, it is all easily readable. In the rain and with sweat in my eyes, and dark clouds and heavy tree canopy above, I had to use the backlight to see my watch-face. Not ideal, but it worked. Rain doesn’t slip right off the watch-face glass either, it just sticks there and makes you see double. Just FYI. Not sure if you’d want to risk putting some slippery stuff they put on windshields to keep the rain rolling off it or not. I don’t want to, the watch is too expensive to dork something up. If anyone has experience with this, do let me know. The watch didn’t fog going from air-conditioned car to the tropical rainforest, so that’s a positive. The Ambit2 R is waterproof down to 50 meters. I have markers along the run where I usually hit “lap” on my Timex Ironman watch. I want to know how I’m doing as I run. This worked well with the Ambit2 R. The beeps are loud enough to let me know I pushed the button. Not so with the Ironman, I had to glance at the watch to make sure. In Movescount the laps are all displayed nicely – with time, elevation. I guess I’ll slowly get rid of my Google spreadsheet that covers my training. Data was exported to Strava automagically so I didn’t even have to give that a thought. Mid-way through the run I knew I had made a mistake. I setup far too many views to look at, and scrolling through them was a nuisance. I really only need 2-3 views. I’ll delete the other ones I set up. The cool thing is, for each activity you usually take part in, you can choose custom views for each. Meaning, for Trail Running, I can set up views of only the data I want to see during trail running – namely elapsed time (chrono), lap time, altitude, heart rate, and distance. There is no “Stair Climbing” activity – who knows WHY? So I have to use “Other” while climbing stairs. Which is weird when there are other more nefarious activities listed. Stair Climbing is obviously not even on Strava’s or Movescount’s radar. Are there really that few of us? Is cheerleading more popular among Suunto watch wearers? I doubt it, but it’s there as an option. For climbing stairs, I only really want to see elapsed time and heart rate. I know the altitude of each section. So anyway, you can customize it for each activity you choose, and it updates your watch as you have the USB cable attached. I’m lucky to live close to this massive staircase that goes up the side of a mountain at a Buddhist temple close to our home. It has about 280 meters of vertical gain and it’s very hot and humid. The stairs are not uniform, and it takes some effort and mind-games to get up them as fast as possible. I’ve climbed the steps here over 1,300 times in the six years I’ve lived in the area. I checked other athletes’ Strava data for this climb and it seems to be hosed up. There are about thirty instances on record of people that said they climbed the steps, but none of the data makes any sense. Most of the data says it tops out around 100-130 meters elevation. That’s way off. I wonder if people went up the entire way to the top. Or, it could be that their device just didn’t show elevation well. Not sure. I also use the Lap button on this climb, so I can gauge how fast I’m going. One is at the half-way point, and another at the 3/4 point. I hit these on the way up the first time, and then just hit Lap at the bottom and top if I do multiple climbs. Before I started I was really curious to see whether the Ambit2 R would accurately trace the path up the mountain. Previously I did it with MyTracks on my Samsung phone with GPS. That was before I’d heard about Strava and Movescount, so the data isn’t there. It worked pretty well, but I suspect the GPS was only pinged about once every five or ten seconds. Not very accurate. I leave my Ambit2 R at 1-second pings because I want to make it as accurate as possible. It only gives 8-hours of battery at this level, but battery-be-damned, I need accuracy more. 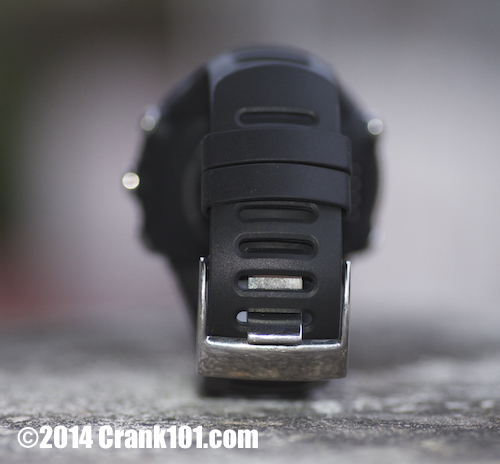 The Suunto Ambit2 R is a solid, well-built runner’s watch that should last for many years. You will probably upgrade it before long because the options being added yearly are substantial and hard to pass up. The Ambit3 Peak is the current flagship model and it offers some connectivity with smartphones so you can change settings and get notifications of messages. Of course, your phone has to be with you to use this feature. There isn’t anything that could be considered ‘wrong’ with the Suunto Ambit2 R watch with HR monitor, it is designed for runners, not triathletes or divers, and it serves runners well. There are small bits that I think could be changed, but overall I am quite satisfied with purchasing the watch with heart rate monitor for $250. I think this will be your opinion too as long as you research the specs and make sure it has everything you need. 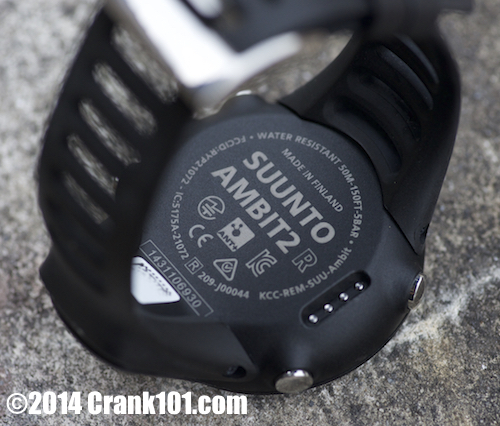 The Suunto Ambit2 R does everything it is supposed to do, and does it well. That said, I do have a “Wish List” for the ultimate runner’s watch that I’ll add below. Wireless updates, syncing with my computer or phone, removing the watch from my wrist is a pain and pulls the hairs on my arm. Built in heart rate sensor so no strap is needed. Feeling a strap around me as I inhale each time, is less than ideal. This would also allow heart rate tracking during sleep and during the day. Cadence and heart rate tracking while walking around all day. It would be good to know how active I am during non-workout hours. Temperature and humidity readings. I thought it had the temperature, but apparently not. Must have been one of the other Ambits. I’d like to have it on record because here in Thailand temperature and humidity affects me greatly. Even if Movescount or Strava pulled these from weather data – that would work for me. Play music. It should hold a lot of songs with built-in memory expansion option for a micro SD card, and wirelessly play music through Bluetooth earbuds. Be my phone so I didn’t need to take one. Easily interchange batteries or a battery that lasted 2 full days. Make each row as big as the middle row. I’d love to see crucial information in a quick glance, not stare at it for 3 seconds before I can decipher it. How much would I pay for a watch that had all of these functions? A lot. To get everything I want in a great watch that would last for five years or so, I’d probably spend up to $1,500 if it could replace my phone, have wireless syncing, have the perfect display, and have a great battery that lasted for days. I am SURE there are thousands of people that would pay that amount of money for a watch that did it all. I do hope Suunto is listening. I think they have an amazing product line with these Ambit watches. They could really own the entire high-end space if they made a watch that did it all. If you’re a runner, GET THE SUUNTO AMBIT2 R with Heart Rate Monitor, you will be getting one of the best watches for runners on the market today at a very decent price. UPDATE – and CAVEAT – Now that I’ve had the watch for over a year I have had to replace the Heart Rate Monitor unit, and my watch band just snapped for no reason at all. I have pitting in the glass – again, I haven’t the slightest idea how that happened, or even why it would happen. What would pit glass? Not sure I will choose the Ambit4 when it comes out, even if it’s amazing and they have the features I want. I might hang on another season and get the next Garmin. More info? Download the Suunto Ambit2 R user’s manual in PDF format here. UPDATE 30 October 2016 – After I used this watch for a bit, it started to fall apart. First, the strap broke. I tied it with string, not wanting to pay $60 for another junk watchband. Then the strap broke in another place. I found a replacement band (fake) for $30. My heart rate monitor chip broke. I bought another. My watch is cracked (actually pitted, like a chemical reaction is taking place) on the face of the mineral glass – it now has condensation underneath the glass when I’m at altitude.